Raj is a Vice President of Flexpoint Ford focused on identifying, evaluating and executing investment opportunities in the Special Assets Fund. Prior to joining Flexpoint Ford in 2015, Raj was Head of Quantitative Strategies at PeerIQ, a venture-backed Marketplace Lending Analytics firm. Previously, Raj was a Trading Desk Strategist in Securitized Products at Morgan Stanley, where he developed trading strategies and analytics for the Consumer ABS desk, across both flow and credit products. 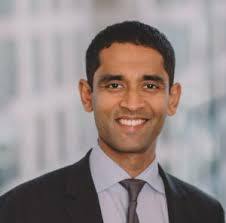 Additionally, Raj was a Corporate Credit Strategist at Morgan Stanley, covering cash and derivatives markets in leveraged loans and high yield. Prior to Morgan Stanley, Raj spent a number of years at Macquarie Group structuring physical and financial natural gas trades. Raj earned degrees in Actuarial Science and Applied Finance from Macquarie University in Sydney, Australia and a Masters in Financial Engineering from UCLA.